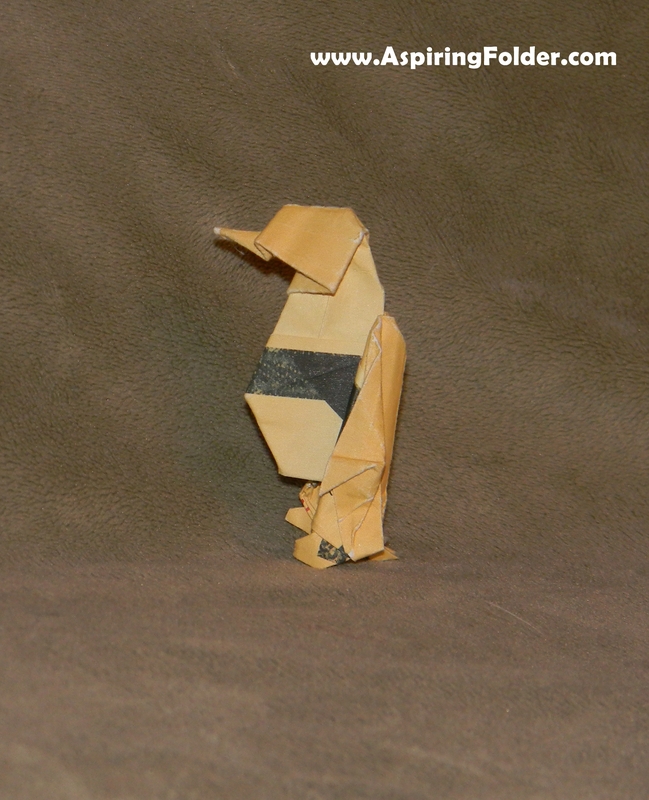 This dollar origami penguin comes from Won Park’s book, Dollar Origami: 10 Origami Projects Including the Amazing Koi Fish . The book is a kit that comes with fake money to fold. That’s a really cute origami penguin!